Mafoumbi 6, Pritchard 5, Davies N/A. Arsenal FC : Cech 6, Lichtsteiner 6, Jenkinson 7, Sokratis 7, Kolasinac 7, Elneny 6, Ramsey 8, Maitland-Niles 7, Willock 7, Iwobi 7, Nketiah 6. Subs: Medley 5, Saka N/A, Lacazette 5. 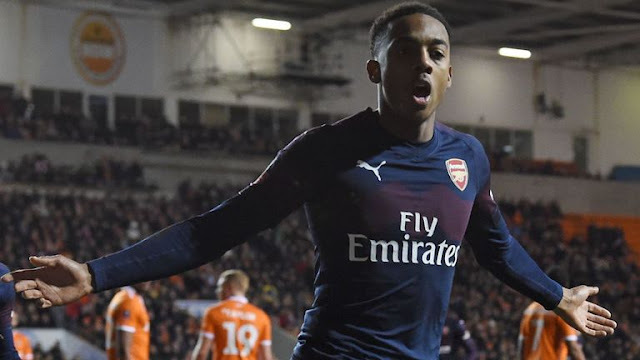 Joe Willock is the youngest player to score for Arsenal in the FA Cup since January 2010, when Aaron Ramsey netted against West Ham (19y 8d). Arsenal are unbeaten in their last 10 meetings with Blackpool and have won the six matches against the Tangerines. Arsenal have progressed from the third round of the FA Cup in 22 of their last 23 attempts, with their only failure coming last season against Nottingham Forest. 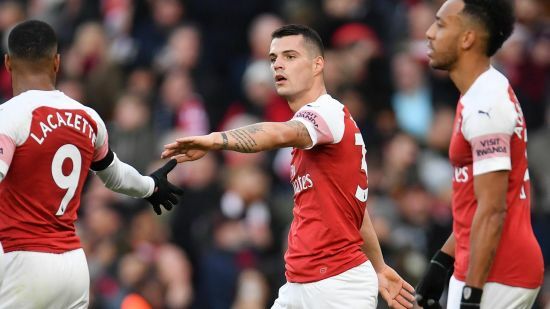 Petr Cech, Stephane Lichsteiner, Mohamed Elneny, Aaron Ramsey, Joe Willock and Eddie Nketiah come in for Bernd Leno, Shkodran Mustafi, Matteo Guendouzi, Granit Xhaka, Alexandre Lacazette and Pierre-Emerick Aubameyang.